Frozen shoulder (Adhesive Capsulitis) can be described by severe pain and stiffness in one of a person's shoulder joints. This shoulder condition is called frozen shoulder because the pain can get so extreme that a person does not want to move their shoulder and it cannot move past a certain point. Typically, people between the ages of 40 and 70 years old may experience frozen shoulder. Frozen shoulder can occur for several reasons including injury, repeated use, and after shoulder surgery when the muscles and tissues are weak. 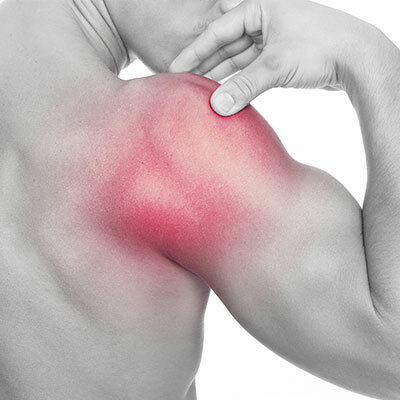 Frozen shoulder is an extreme form of decreased mobility in the shoulder. Chiropractic care can be effective in treating frozen shoulder by adjusting subluxations to allow clear communication from the nerves to the shoulders. At Zemella Chiropractic in Santa Barbara, Dr. Paul Zemella, DC understands exactly which vertebrae are connected to the shoulder and what can be done to help relieve your frozen shoulder symptoms. To learn more about how chiropractic care can help you find pain relief from frozen shoulder, call Zemella Chiropractic in Santa Barbara at (805) 324-6500 to schedule an appointment today.